C&C Entertainment is now on Bloglovin! 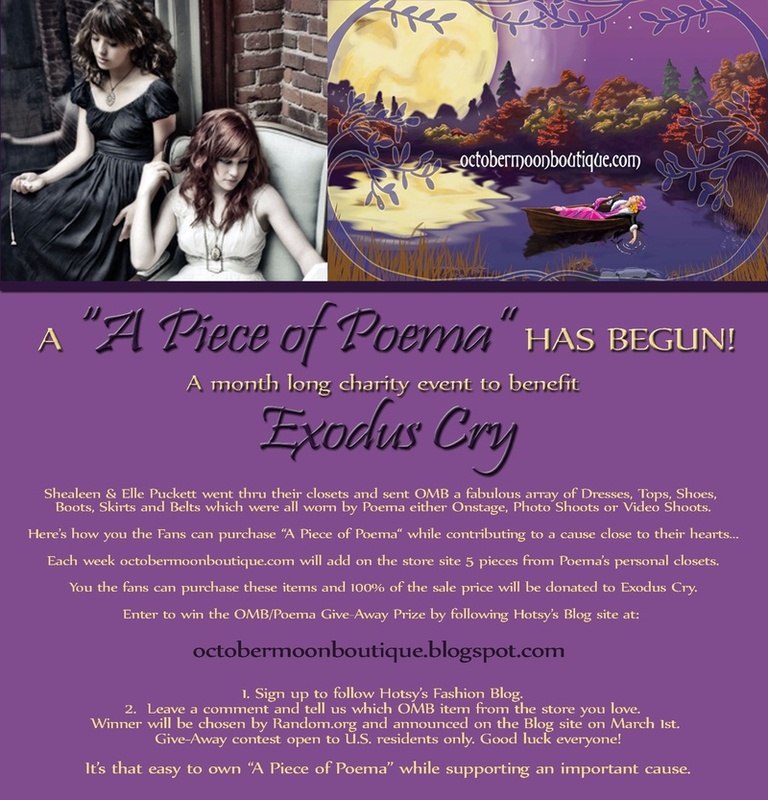 C&C Entertainment Group would like to thank OctoberMoonBoutique.com for allowing us to create all the collateral material for its "A Piece of Poema" fundraising campaign. Elle and Shealeen, members of the girl band, Poema, donated slightly used clothing right out of their own closets to OctoberMoonBoutique.com, an online designer brand consignment store. October Moon Boutique ihas been hosting a month long charity event to raise money for Exodus Cry a charity close to Poema's heart. Poema fans can still go online and shop for these items at reasonable prices for a few more days. 100% of all sales of Poema's items will go directly to Exodus Cry. Nominations for the CM Awards to open March 1st! Stay tuned! Nominations for the 4th Annual Carolina Music Awards will open on March 1st! For more information, contact: [email protected] or visit the CM Awards website at: www.carolinamusicawards.com. Nominations for the inaugural Georgia Music Awards will be currently open through the end of March 2011. Be sure to nominate your favorite artist in the following genres: Rock, Country, Hip Hop, R&B, Jazz, Alternative and Americana / Bluegrass. Awards will be presented for Best Male, Female and Band. The GM Awards show also recognizes the following categories: Best DJ, Best Model and Best Producer. If you know someone in the Georgia music industry who has made a tremendous impact in their local community, then be sure to nominate them for an "Impact" award. Do you feel you are a leader in the music industry, set trends others follow, are ahead of the market and playing regularly out of their home market? Then you might qualify for a "Trendsetter" award. Do you know a legendary Georgia artist who has upheld the industry standards, been a role model throughout their career and had many successful career accomplishments? Then you should definitely nominate them for a GM "Lifetime Achievement" award. To find out how to be a GM Awards sponsor, contact: [email protected] or visit the website at: www.georgiamusicawards.com. The Georgia Music Awards is hosting its inaugural event to recognize regional and youth musicians statewide in Georgia. ATLANTA, GA, Feb. 5, 2011 — Nominations are now officially open for the inaugural Georgia Music Awards show. Artists throughout Georgia will have an opportunity be recognized in a variety of music genres, such as: Country, Rock, Hip Hop, R&B, Jazz, Americana, and Alternative categories for best male, female, band and youth. There’s even a humanitarian award being sponsored by the Georgia Commerce Club. In addition, we will be awarding best model, best producer, and DJ of the Year! There’s an opportunity for almost everyone in the music industry. The GM Awards will be accepting nominations for this year’s competition beginning on Saturday, February 5, 2011 through the beginning of March. The 2011 prize winners will be announced live on-stage during the award show on June 18, 2011 in Atlanta, GA.
We are excited to announce, we will have a representatives from BMI, Kimberly James of Bold & Spicy News, Jazz 91.9 WCLK, WTOC in Savannah, IndieHitMaker and Lynyrd Skynyrd’s legendary original drummer, Bob Burns, as a few of our presenters.” said Omar McCallop, the show’s executive producer. 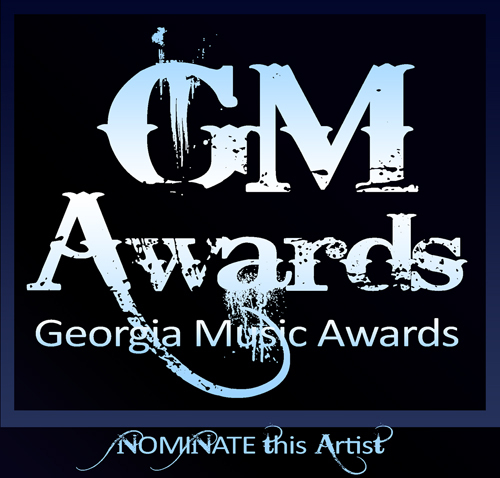 Nominate your favorite artist if you see this icon on your favorite local and native Georgia musicians Facebook, Twitter, ReverbNation and MySpace pages. “Musicians will be encouraging their friends, family and fans to nominate. Once the nomination period ends a panel of industry professionals will assist with nominee final selection in each award category. Once nominees are announced in mid-March, voting will begin” said Christi Chambers, GM Awards show director. The GM Awards show will be held on June 18, 2011 in Atlanta, Ga. Nominations are now open. Visit the official Georgia Music Awards website at www.georgiamusicawards.com to keep up with the latest award show news, venue information and ticket sales. Questions and sponsorship inquiries can be directed to [email protected]. Georgia Music Awards is a regional music award show honoring native and local talented professional and youth musicians statewide throughout Georgia. We'd like to welcome you C&C Entertainment's our new Blog site. We are in our busiest season planning the 4th Annual Carolina Music Award, Youth Music Awards and the Inaugural Georgia Music Awards shows. We offer a wide variety of music management, tour & booking support, image consulting, web site design & consulting, online social media support, professional photography packages and the like for both up-and-coming artists and established musicians. We represent many musicians in different capacities tailored to their actual needs. We hope you have enjoyed visiting our site and if you need talent for your next event, please contact us.